Having been born and brought up in Kerala and being from the GSB community,it is no wonder that I am kicked about Coconut.I've had numerous arguments with my non-malayali friends regarding the use of coconut oil exclusively for oiling hair.After all,the debate for the time being has come to a stand still what with The New York Times coming up with an article which gives Coconut Oil the much required Makeover. Sometime back I saw a recipe for Coconut Brownies in Vanitha and as I was going through the recipe,there was a typo with regard to the amount of flour.I didn't want to the guess work and chose a basic Brownie recipe and tweaked it to make these Coconut Brownies. Grease/line a 9' square baking pan. Microwave the butter in a microwave safe bowl until melted[you can do this on stove top too]. Add the cocoa,beat well until well blended. Add the flour, baking powder and salt,beat well. Stir in the nuts and the dessicated coconut. Bake for 30-35 minutes or until brownies begin to pull away from the pan sides. How did we like it -The brownies had a beautiful crust after baking and IMHO,that is a first brownie point[! ].The flavor of coconut was not very dominant but the coconut flakes made it kind of chewy which we absolutely loved.I am planning to try adding shredded coconut by toasting it a bit before adding to the batter next time when I try it,that might give the brownies a more pronounced Coconut flavor. Sending these Brownies across to my event The Best Brownie event and to Kerala Kitchen. Update - Sometime back,I got a mail from Flipkart saying that they could not procure the book I had ordered[The Brownie book for the Giveaway].I tried getting it from some other sites too,but in vain.So unfortunately,I have to strike off that book from the Giveaway. Send in your entries quickly.. I am not able to decide which I have to drool over first.. the yumm coconut brownies or the decadent books! 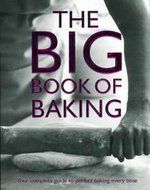 The Big book of baking has surely piqued my interest, heard its good..
divya !! i never thought of coconut brownies...thanks !! looks good....btw fr which city is that giveaway and what are the rules ? Looks so rich & truly a treat!!! 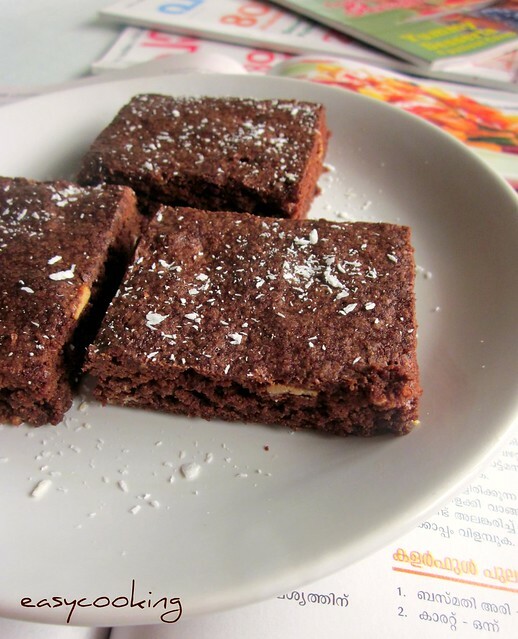 Loved the idea of coconut flavor in brownies..
Brownies with coconut is a new twist....love it...nice recipe too. coconut in brownies sounds so new and delicious..yumm..
Wat a fabulous feast..coconut brownies looks stunning and irresistible..
o my, such a treat to the eyes ! I love the combo of coconut and brownies. I had made some Chocolate Brownies with Macaroon Topping a while ago and they were GOOD! coconut in a brownie..now thats something! 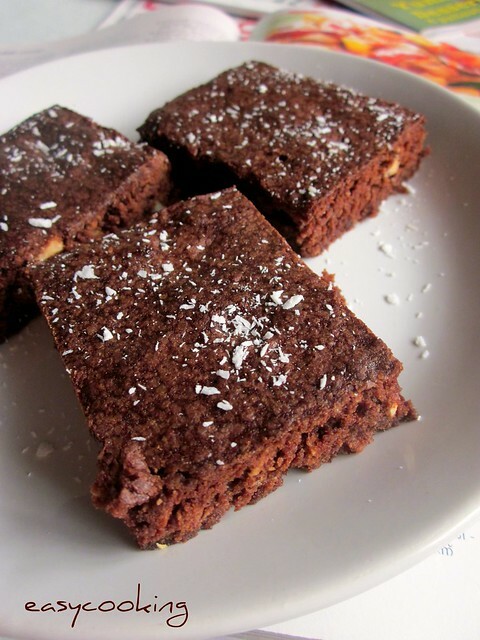 Never heard of coconut brownies and these look delicious. Very yummy. Did I miss your giveaway? Those are some great books you've got listed! WOW! !